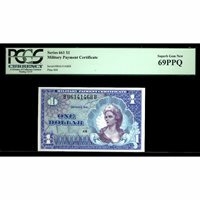 MILITARY PAYMENT CERTIFICATE MPC SERIES 481 10 CENT ! NICE CHOICE NOTE ! 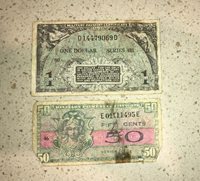 USA/MPC ... P-M33 / Serie 521 ... 1 Dollar ... NL(1954) ... *AU* ... Block “10”.